Celebrate Maryland in the place where it all began! 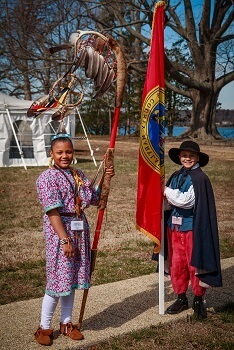 Historic St. Mary’s City (HSMC) invites the community to commemorate the 385th anniversary of the founding on Saturday, March 23 by offering free admission for all! Gospel Choir. 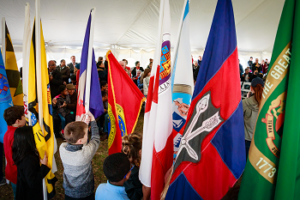 The program will close with the Ceremony of the Flags, a perennial crowd-pleaser, when children from across Maryland present their county colors. Historic St. Mary’s City is a museum of living history and archaeology on the site of Maryland’s first capital in beautiful, tidewater Southern Maryland. For more information about the museum contact the Visitor Center at 240-895-4990, 800-SMC-1634, or info@DigsHistory.org.